USA Powerlifting is committed to excellence and to the honor and integrity of competitive powerlifting. USA Powerlifting seeks to provide a fair platform for competition and requires all who join its ranks and competes on its platform to do so with sportsmanship, honor, and respect. Competition. All members are to abide by the bylaws, policies, rules and regulations of USA Powerlifting. No member shall use performance-enhancing drugs and/or other such drugs that are prohibited by the World Anti-Doping Agency, the United States Anti-doping Agency, and USA Powerlifting. Professionalism. All members shall be professional on and off the platform. The only acceptable standard is good sportsmanship. All members are to refrain from conduct that is disruptive and/or detracts or adversely affects competing athletes for purposes of gaining a competitive edge. Respect. All members shall treat all others involved in the sport – other athletes, referees, officials, administrators, meet directors, spectators, sponsors, members of the media, venue employees – with respect, courtesy, and dignity. Rude, abusive, unprofessional language and/or conduct toward another member of USA Powerlifting or toward anyone affiliated with our sport will not be tolerated. Because petty criticism and complaints undermine the well-being of the organization, members should minimize complaints and pettiness, and should, instead, strive to take action where improvement is desired or needed and should accept and support the final decision of the majority. Organization. All members, officials, administrators, officers, and representatives shall focus on the best interests and goals of USA Powerlifting over and above individual desires. 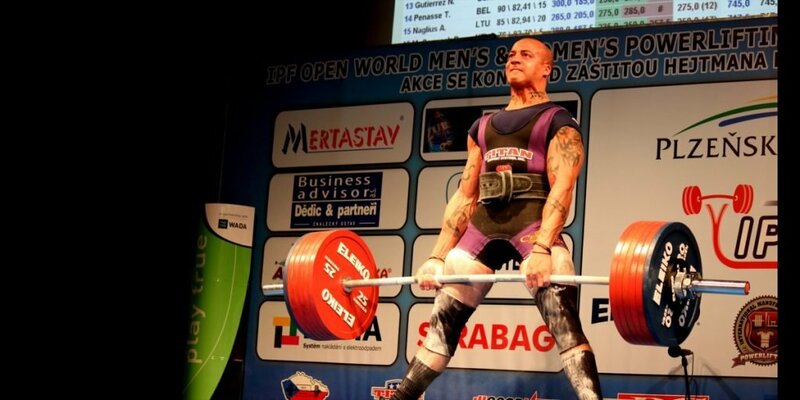 USA Powerlifting, through its members, is here to serve all members with quality competition. Non-discrimination and No Sexual Harassment. USA Powerlifting maintains a no tolerance policy for discrimination based upon age, gender, race, ethnicity, national origin, religion, sexual orientation, disability, language, and socioeconomic status. Moreover, USA Powerlifting does not permit any conduct that engages in sexual harassment, which is sexual solicitation, physical advances, or verbal or nonverbal conduct that is sexual in nature, that is either unwelcome, is offensive, or creates a hostile environment, and the offending party knows this or is told this and that is sufficiently severe or intense to be abusive to a reasonable person in the context. Membership to USA Powerlifting is conditional upon abiding by and honoring this Code of Conduct and Principles. Violations of this Code subject the member to discipline pursuant to the USA Powerlifting bylaws and rules and regulations and to the potential loss of membership in USA Powerlifting.